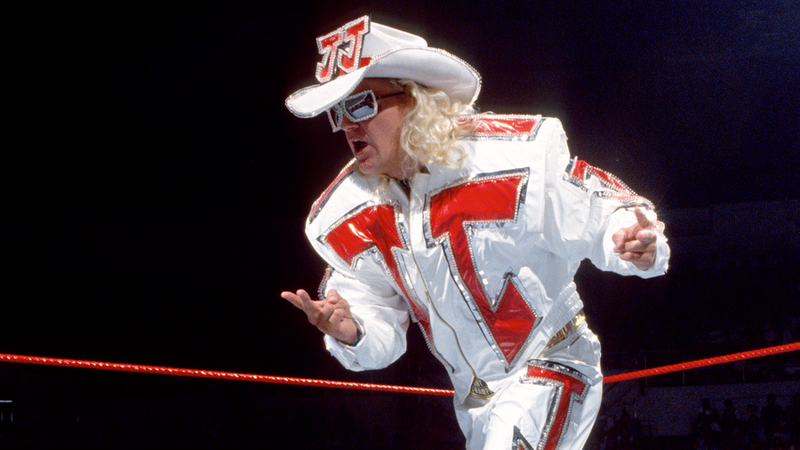 On Monday, the latest WWE Hall of Fame 2018 inductee was announced as former superstar Jeff Jarrett is officially joining this year’s inductees. There had been rumors of Jarrett’s entry about a week ago, but the former WWE Intercontinental Champion is now confirmed by the company itself. The news may arrive as a bit of a surprise to fans as Jarrett hasn’t been involved with WWE for several years now since departing to work for and run one of their competitors. The latest WWE Hall of Fame inductee was first reported by NBC Sports on Monday. Jarrett joined the WWE back in 1993 and quickly rose up the ranks and captured the WWE Intercontinental Championship six times. In addition, he’s a one-time European and Tag Team Champion, capturing the titles with the late Owen Hart. While Jeff first started with WWE back in the early 90s, he got his start in professional wrestling at a much younger. He was the son of Jerry Jarrett, a Tennessee wrestling promoter, so he was familiar with the business. Jeff worked at an early age as a referee before he actually transitioned into his prominent career inside the ring. That all started in his late teens but his family’s history with the business helped pave the way for his Hall of Fame career. In comments he made regarding his selection, Jarrett mentioned he’ll be dedicating the induction to those family members who were also part of the business or helped him. Jeff worked with WCW for several years. He and his father also founded the Impact Wrestling company with is now referred to as Total Nonstop Action Wrestling (TNA) or Global Force Wrestling (GFW). Jarrett not only helped to get the company started but was amongst its superstars in the ring or in on-television authority roles. While with TNA he captured the heavyweight title six times, and the King of the Mountain title once. Jarrett was inducted into TNA’s Hall of Fame back in 2015. Jarrett will now join the other recently announced WWE Hall of Fame inductees. Announced over the past several weeks were former WWE Champion Goldberg, multiple-time tag team champions The Dudley Boyz and former WWE Women’s Champion Ivory. WWE fans can see more information about Jarrett’s career via his WWE Hall of Fame profile page. The WWE’s Hall of Fame 2018 induction ceremony is scheduled for Friday, April 6, right before the big weekend of NXT: TakeOver and WrestleMania 34.